Conversion Rate Optimization (CRO) is becoming more and more important with your business and its online presence. As the competition grows in the digital space, and users continue to expect quick answers, it is essential that you build your website with conversion optimization in mind. First of all, what is conversion rate optimization, and why does it matter to your business? At its core, CRO starts with the idea that your website is never complete. Rather than investing in a new website once every 4 years or so, it is better to make many small improvements over time. Best practices in digital marketing are always changing. 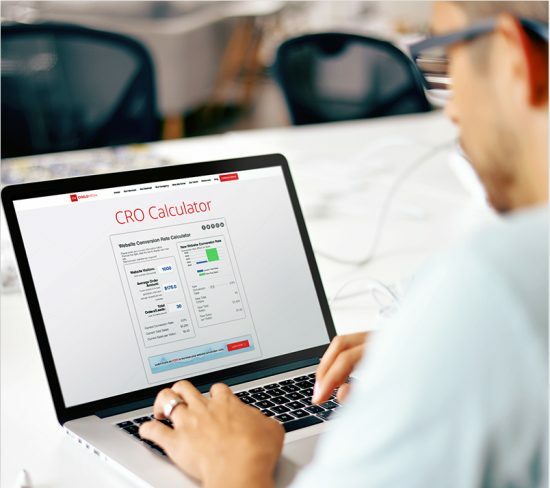 Investing time in CRO allows you to take advantage of the latest changes as well as any research on your own site, building something that is made for converting your audience. The website is your salesman who never sleeps, make sure it is equipped to convert even the most skeptical client. There was a time when anyone who had their business on the internet with a few simple steps could have a pretty significant advantage over their competitors. Today, getting in front of your potential customers is more competitive than ever. After all the money and hard work you put forth to get in front of people, to have a website that’s not built to convert is just a waste. Keep yourself above the competition by continually improving the user experience and giving customers what they want in a way that’s easy to digest. Remember, first impressions are immensely important online. Make sure your first impression matches your ideal customer’s needs. To build a website that converts takes time and effort. We aren’t just building a website, we aren’t even just building it for your industry, the website should be built with your specific client’s need in mind. Two companies in the same industry and the same market still have the potential to have very different target audiences and different things that make them stand out. Playing to the strength of your business on the website is essential. You know what things you believe make you stand out. Take these things into account when building your new site. When planning your new site or making improvements to your old site, it is important to remember that, while your assumptions of what is converting may be accurate, getting feedback from your clients is invaluable. Taking the time to understand your customer’s pain points will make a huge difference in helping you build a website to convert. There are many different methods you can use to gain data directly from your clients and potential clients, which we will talk about later. When is the Website Done? Traditional web development has a clear beginning and end point with the launch of the site. Once the site is launched with the exception of a few minor tweaks here and there, it’s rare for big changes to be made on the site. The next major update is made when a whole new website is built. Instead of following this pattern, approach your website with the mentality that the website is never finished, continuing to make improvements after launch. As the way people search online changes, and you learn more about your target audience, make the improvements necessary to obtain the small wins. You may not see the same large jumps in traffic or conversions you sometimes see from launching a brand new site, but these many small jumps over time will be more beneficial than one large leap every few years. Your website will never be done, and that’s OK.
Now that you understand the idea behind conversion rate optimization, where do you start? How do you first build a website, then continue to update it in a way that will lead to higher conversions? Here are a few tips to start investing in CRO for your website. Start With a Firm Foundation – Depending on the platform your website is built on, making even the most simple changes can be cumbersome. Start first with a website that is built well and in a way you can edit. Don’t be afraid to start with a brand new site that can be improved on over time. Before building a site with any company, make sure you ask these 11 questions to ensure your website will be built in a way you can modify. Learn What Your Customers Want – Nobody knows what your customers want better than your customers. Use surveys and listen to phone calls to learn more about what your customers are looking for, not just what you assume they want. Learning their most common questions and finding an effective way to answer them on the website will be extremely valuable. Let the Data Guide Decisions – Again, we can make assumptions about how people are interacting with the website or what they want, but these assumptions can often be wrong. Use data from analytics, heat maps, recordings, and customer feedback to help you make decisions. Data found on initial research of a website and through A/B testing will help you build a better site. Don’t Stop Improving – If you aren’t moving forward, you’re moving backward. Continue making improvements to your online presence to ensure your website will continue to convert the right audience.